Nikola Tesla and Ivan Mestrovic started corresponding in 1922. 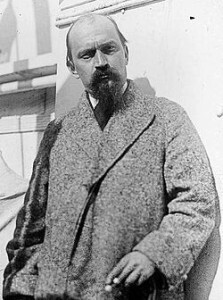 In 1924, Tesla met the internationally renowned Croatian sculptor Ivan Mestrovic in New York City, who became a close friend to Tesla. In 1939, only 4 years before his death on 1943, Tesla wrote a letter asking Mestrovic to create a sculpture (bust) of him. In 1946, soon after World War Two, Syracuse University in New York State, U.S.A. offered Ivan Mestrovic a professorship and he moved to the United States. He was awarded the American Academy of Arts and Letters’ Gold Medal for his sculpture work in 1953. U.S. President Dwight D. Eisenhower personally presided over the 1954 ceremony granting Mestrovic American citizenship. He went on to become a professor at the University of Notre Dame in 1955. The large Nikola Tesla sculpture in Zagreb, Croatia is a monument by Ivan Mestrovic created in 1952. Correspondence: … Quote: Written by: Tanja Rudez, “Many people who pass by Mestrovic’s monument to Nikola Tesla every day at the intersection of Preradoviceva and Masarykova streets, most likely don’t know that the greatest inventor and greatest sculptor of this region were close friends. They met in New York in 1924 and numerous letters of their correspondence are preserved in the Museum of Nikola Tesla in Belgrade and bear witness to their friendship. “Esteemed Mr. Tesla, one of my greatest wishes coming here was to meet you,” writes Mestrovic to Tesla in a letter sent on December 13, 1924 from the Gotham Hotel in New York City in which he asks the great discoverer to receive him. Tesla responded from the Grand Mageri Hotel, Manhattan two days later. “Dear and great artist! I was pleased to receive your letter and would be delighted to meet you in person, as that has been a burning desire of mine for years,” responded Tesla, suggesting a time to meet. And that was the beginning of a many-year-long friendship. 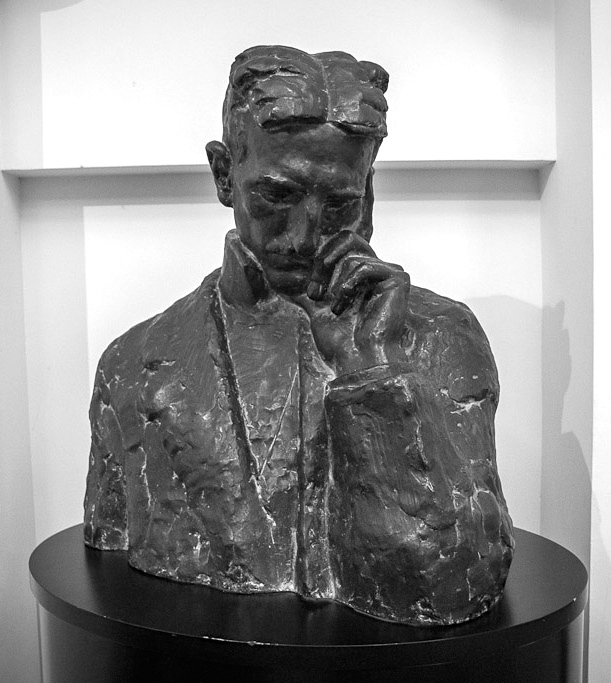 In 1939, 4 years before Tesla’s death, Nikola wrote a letter asking Mestrovic to create a sculpture (bust) of him. Mestrovic agreed, and initially two castings of the bronze busts were created. The first bust was unveiled by his nephew, Sava Kosanovic, at the Technical Museum in Vienna, Austria ( Technisches Museum, Wien ). The second bust was given to the Tesla Museum in Belgrade, Yugoslavia, and is displayed there to this day. The original plaster model is currently on exhibition at the Croatian Academy of Art and Science in Zagreb. Another monument to Tesla, featuring him standing on a portion of an alternator, was installed at Queen Victoria Park in Niagara Falls, Ontario, Canada. 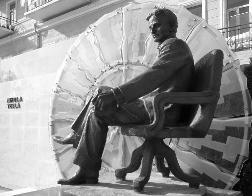 The monument was officially unveiled on 9 July 2006 on the 150th anniversary of Tesla’s birth. Sponsored by the St. George Serbian Church in Niagara Falls, Ontario, Canada. Mr. Leslie Drysdale was born in Hamilton, Ontario, Canada in 1961. He graduated from the Fine Art Department at the University of Guelph in 1985. He specialized in 3-dimensional Art and sculpture. Les Drysdale worked as a full time artist and sculptor ever since. 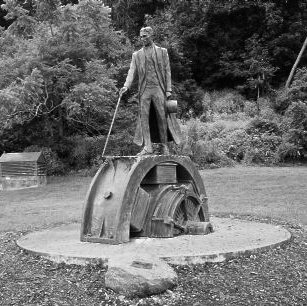 Artist, musician and educator Matt Rebrovic created this monument near Pittsburgh, Pennsylvania, USA of Nikola Tesla which was later installed at the Serbian embassy in Baku, Azerbaijan in 2006, the 150th anniversary of Tesla’s birth. 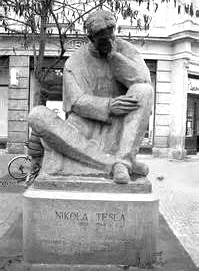 American-born, Rebrovic, a Tesla fan, born of Yugoslavian parents and ancestry, created two different sculptures of Tesla. 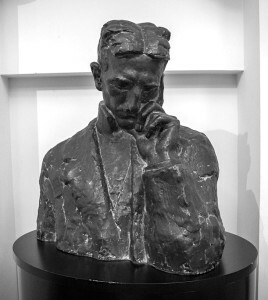 A smaller bronze was purchased in 1996 by the Nikola Tesla Society of Midland, Pennsylvania for the Serbian National Federation Museum in Pittsburgh. Tesla’s nephew, William Terbo, was on hand to officially receive the sculpture.